Chanluang S, Salikabkeo P, Kanchanapoo J, Kaewamatawong R, Prasitpuriprecha C. Anti-oxidative Effects and Toxicity of Bauhinia penicilliloba Ethanolic Leaf Extracts. Chiang Mai J. Sci. 2016; 43: 1-12. Taejarernwiriyakul O, Anzai N, Jutabha P, Kruanamkam W, Chanluang, S. Hypouricemia and Nephroprotection of Coix lacryma-jobi L. Seed Extract. Songklanakarin Journal of Science and Technology 2015; 37(4): 441-447. Miura D, Anzai N, Jutabha P, Chanluang S. He X, Fukutomi T, Endou H. Human urate transporter 1 (hURAT1) mediates the transport of orotate. Journal of Physiological Sciences 2011; 61(3): 253-257. Tachampa K, Takeda M, Khamdang S, Noshiro-Kofuji R, Tsuda M, Jariyawat S.. Interactions of Organic Anion Transporters and Organic Cation.. J Pharmacol Sci . 2008; 106: 435-443. Anzai N1, Miyazaki H, Noshiro R, Khamdang S, Chairoungdua A, Shin HJ, Enomoto A, Sakamoto S, Hirata T, Tomita K, Kanai Y, Endou H.. The multivalent PDZ domain-containing protein PDZK1 regulates transport activity of renal urate-anion exchanger URAT1 via its C terminus.. Journal of Biology and Chemistry. 2004; 279(44)(-): 45942-50. Khamdang S1, Takeda M, Shimoda M, Noshiro R, Narikawa S, Huang XL, Enomoto A, Piyachaturawat P, Endou H.. Interactions of Human- and Rat-Organic Anion Transporters with Pravastatin and Cimetidine. Journal of Pharmacological Sciences. 2004.. Journal of Pharmacological Sciences. 2004; 94(2). (-): 197-202. Hasannejad H, Takeda M, Taki K, Shin HJ, Babu E, Jutabha P, Khamdang S, Aleboyeh M, Onozato ML, Tojo A, Enomoto A, Anzai N, Narikawa S, Huang XL, Niwa T, Endou H. Interactions of human organic anion transporters with diuretics.. The Journal of Pharmacology and Experimental Therapeutics. 2004; 308(3)(-): 1021-9. Alebouyeh M1, Takeda M, Onozato ML, Tojo A, Noshiro R, Hasannejad H, Inatomi J, Narikawa S, Huang XL, Khamdang S, Anzai N, Endou H.. Expression of Human Organic Anion Transporters in the Choroid Plexus and Their Interactions with Neurotransmitter Metabolites.. Journal of Pharmacological Sciences. 2003; 93(4)(-): 430-6. Khamdang S, Takeda M, Babu E, Noshiro R, Onozato ML, Tojo A, Enomoto A, Huang XL, Narikawa S, Anzai N, Piyachaturawat P, Endou H.. Interaction of Human and Rat Organic Anion Transporter 2 with Various Cephalosporin Antibiotics.. European Journal of Pharmacology. 2003; 465(1-2)(-): 1-7. Enomoto A, Takeda M, Tojo A, Sekine T, Cha SH, Khamdang S, Takayama F, Aoyama I, Nakamura S, Endou H, Niwa T.. Role of Organic Anion Transporters in the Tubular Transport of Indoxyl Sulfate and the Induction of Its Nephrotoxicity.. Journal of the American Society of Nephrology. 2002; 13(7)(-): 1711-20..
Takeda M, Khamdang S, Narikawa S, Kimura H, Kobayashi Y, Yamamoto T, Cha SH, Sekine T, Endou H.. Human Organic Anion Transporters and Human Organic Cation Transporters Mediate Renal Antiviral Transport.. The Journal of Pharmacology and Experimental Therapeutics. 2002; 300(3)(-): 918-24..
Takeda M, Khamdang S, Narikawa S, Kimura H, Hosoyamada M, Cha SH, Sekine T, Endou H.. Characterization of Methotrexate Transport and Its Drug Interactions with Human Organic Anion Transporters.. The Journal of Pharmacology and Experimental Therapeutics. 2002; ;302(2)(-): 666-71..
Khamdang S, Takeda M, Noshiro R, Narikawa S, Enomoto A, Anzai N, Piyachaturawat P, Endou H.. Interactions of human organic anion transporters and human organic cation transporters with Nonsteroidal anti-inflammatory drugs.. The Journal of Pharmacology and Experimental Therapeutics. 2002; 303(2)(-): 534-9..
ใจนุช กาญจนภู, ระวิวรรณ แก้วอมตะวงศ์, สุภารัตน์ คำแดง และคณะ. การศึกษาฤทธิ์ของสมุนไพรที่มีในตำรับยาสตรีแผนโบราณต่อการหดตัวของมดลูก. ไทยเภสัชศาสตร์และวิทยาการสุขภาพ 2016; 6(3): 202-208. Sethabouppha B, Chanluang S, Lam L-H, Suwannakul S. Screening of Thai plants for inhibition of CYP2D6 enzyme activity. Ubon Ratchathani University Journal of Sciences and Technology 2015; 3(17): 28-32. อ้อมใจ แต้เจริญวิริยะกุล, ธณวรรฒณ์ แก้วเนตร, วันทิกา เครือน้ำคำ, และคณะ. Relationship between antixanthine oxidase activity and total phenolic content in Thirteen kinds of Thai medicinal plant.. Journal of science & technology, Ubon Ratchathani University 2013; 15(2)(-): 58-68. อ้อมใจ แต้เจริญวิริยกุล เมธี บัวสาย อิทธิชัย รัตนาตรานุรักษ์ เพียงหทัย ศรียอด สุภารัตน์ จันทร์เหลือง. ฤทธิ์ต้านแซนทีนออกซิเดสของพืชสมุนไพร. ไทยเภสัชศาสตร์และวิทยาการสุขภาพ 2011; 6(1): 1-6. Chanluang S, Arlai S, Srilakorn W, Pengkumsri N.. Antimicrobial Activity of Alpinia conchigera Extract on Enterococcus faecalis Biofilm. Thai Pharmaceutical and Health Science Journal 2011; 5(4): 279-286. นพวัฒน์ เพ็งคำศรี, จัตุพล กันทะมูล, ภัทราภรณ์ โตวัฒนกิจ และคณะ. ฤทธิ์ต้านอนุมูลอิสระของสารสกัดเหง้าข่าลิง. 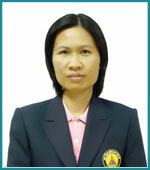 วารสารไทยเภสัชศาสตร์และวิทยาการสุขภาพ 2011; 6(3): 195-201. จารุวรรณ์ วงบุตดี,สุภารัตน์ คำแดง, สุรชัย จูมพระบุตร,ลักษณา เจริญใจ. การศึกษาฤทธิ์เอสโตรเจนจากสมุนไพรพื้นบ้านในเขตจังหวัดอุบลราชธานีที่มีฤทธิ์ต่อการทำงานของเนื้อเยื่อที่อาศัยเอสโตรเจน. IJPS 2011; 8(1): 34-39. จารุวรรณ์ วงบุตดี, สุภารัตน์ คำแดง, สุรชัย จูมพระบุตร และลักษณา เจริญใจ. การศึกษาฤทธิ์ไฟโตเอสโตรเจนจากส่วนสกัดน้ำเต้าหลวงในหนูถีบจักร. ธรรมศาสตร์เวชสาร 2010; 10: S133-138. Khamdang S, Kanchanapoo J, Meungchan N, Sittikanka S, lhaolaem A, Wilamat W, Pengkumsri N. Antimicrobial Activity of Piper betle Ethanolic Leaf Extract on Enterococcus faecalis Biofilm. Isan Journal of Pharmaceutical Sciences 2010; 6(2): 84-91. มาลี จงธนากร,ใจนุช กาญจนภู, สุภารัตน์ คำแดง.. ฤทธิ์ต้านจุลชีพของสมุนไพรค่อ Enterococcus faecalis. วิทยาสารทันตแพทยศาสตร์ มหิดล. 2008; 28: 177-187. Chaikoolvatana A, Chanluang S, Pothaled P.. A comparison of dengue hemorrhagic fever control interventions in northeastern Thailand.. Southeast Asian journal of tropical medicine and public health 2008; 39(4): 617-627..
พมมะวง ชาลีกาบแก้ว พรทิพย์ คำจันทร์ สรินยา เจิมขุนทด พรศิริ ไพทอง ใจนุช กาญจนภู สุภารัตน์ จันทร์เหลือง. การศึกษาความเป็นพิษเฉียบพลันและกึ่งเรื้อรังของสารสกัดใบเสี้ยวแดงด้วยเอทานอลในหนูถีบจักร. สารสารวิจัย มอบ ครั้งท่ี 2 2008; -(-): 370-375. 2005 - 2007 การศึกษาฤทธิ์กระตุ้นการหายของแผลของพืชสมุนไพร Curcuma cf. comosa Roxb. 2005 - 2007 การศึกษาฤทธิ์ต้านปฏิกิริยาออกซิเดชั่น และต้านการอักเสบ-ปวดของพืชสมุนไพร Curcuma cf. comosa Roxb.